A film based on an interesting book is always a challenge for the makers. If executed properly it is always a delight for the viewers. The books by Jim Grant who writes with the pen name of Lee Child books are also interesting thrillers. The character of Jack Reacher, a fictional investigator, created by him became so popular that he wrote a number of books depicting adventures of Jack Reacher. One Shot is one such book. This book is adapted into this movie starring Tom Cruise as the protagonist! Acting of all the actors in major role is really convincing. The chases are convincing. The dialogs are effective. Naturally we found some one liners are given to the protagonist. The background score is fantastic. The story is tight. At places though you loose connectivity with the movie. The characters are explored well. The director wisely gives enough introductory time to each character to explore its characteristics on the screen. The movie starts in Pittsburgh, PA, USA. We see a man pays for parking in a garage, takes his position on the roof with cool head. Prepares his rifle. He then fires 6 bullets and kills 5 people randomly! He then leave trails (proofs to reach to him) and depart. Police arrive and based on the proofs they found at the site, they reach to James Barr, a former U.S. Army sniper! Police raids his house and voila… they found the van, the rifle in the question and the tools to make bullets and other stuff, everything they need. Brar is taken into custody immediately. The question is, why Brar left the clues so the cops can reach to him? Who takes care of paying for parking, living a bullet case which clearly belongs to him and other trails, when he/she is on such spree?! During the custody Brar meets district attorney Rodin. He was expert in such cases and never lost one till date. He offered two choices to Brar, one is a definite death penalty and the other is a lifetime imprisonment (his life is saved here) if he does the full confession! When given a notepad, by thinking that he is going to confess, Brar simply wrote Get Jack Reacher. There starts a quest to find Jack Reacher, who was in Military police and retired from service some time ago. He then lives an anonymous life. He relies on his saving from the salary during his job, pays no tax, using nothing which can help identify or track him by any way! He can be contacted only if he contacts you!! Director here introduces us to Jack Reacher by exploring some details about him. Jack see the news where he live and immediately decides to go to Pittsburgh. He know Brar and he have no intentions to save him or help him. When stationed in Iraq, Brar ran a similar shooting spree where he killed several people. Jack Reacher was the investigator of that case. However all the victims were criminals and hence the government want to forget them all. The case was closed. Jack who let Brar go at that time have decided to make him meet his fate, if he does something similar again. It seems the time came and Jack have to act! When came to meet Brar Jack found that he was in comma! Jack questions that why Brar was not in the protective custody? Was he intentionally exposed to the attackers?! Jack and Rodin found differences in their first meeting only. However there come Helen, the lawyer of Brar who is seeking the truth in the case. Interestingly she is the daughter or Rodin! Will Helen and Jack help each other to know the truth? Well it is better to watch on the screen. The use of technology in the film reflects pretty well. Be it the shoot-out or the chase, technically the things looks great. Cruise is convincing as Jack and Pike is all the way supporting him equally. The cinematic liberties are taken and the story was modified from the original book to fit on a movie canvas. Some scenes give you deja-vu feelings if you watch crime thrillers. The suspense is quite good and kept the main culprit hidden from the viewer till the climax. The last scenes might have been different though. 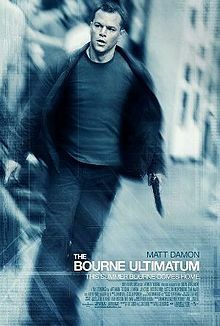 The movie has ingredients of a crime thriller and you can go for it at your leisure, for sure. Overall a good thriller which was unable to en-cash itself at the box office as per the expectations. The makers initially thought to have a series of Jack Reacher films like the series of James Bond. They then drop the idea to make a sequel (or second installment) of the movie, as it wasn’t receive the commercial success expected. However in international market the movie did well and it gave the makers the confidence to go ahead with the earlier plan! So we can expect another Jack Reacher movie. The sequel will possibly based on the book Never Go Back by Lee Child. Interestingly Tom Cruise’ persona is different from Jack Reacher (as mentioned by the author in the book), for example height. However when Tom Cruise was cast for playing the protagonist, Lee Child supported the decision by believing in the acting ability of Tom Cruise. The following is the bio-data of Jack Reacher according to Lee Child, by the way. The movie was shoot at large in Pittsburgh, a town in Pennsylvania, USA. The makers have also decided to have the premier in the same town as they were touched by the warm response of the city during the shoot. A mishap of gun firing happened which is referred as – Sandy Hook Elementary School shooting – a day before the scheduled premier date. The makers then decided to postpone the premier to pay respect to the families which are affected with the same. In a dialog between the shooting-range owner and Jack Reacher, there comes a reference to – James Bond.